A dinner for 2 with five pieces of chicken? He paused for a moment. He stared up at the KFC menu. So many choices, specials, deals and meals. Where was one to start? Harold stood back and allowed another customer to go ahead and order. He had to really think about this one because his marriage was on the rocks and the last thing he needed was a wrong food order. The last words of his wife echoed in his head. Played with his mind. ‘Remember, get the dinner for two this time and don’t stuff it up’, she yelled as he was backing his car out of the driveway. Looking up at the backlit menu once again, the Dinner for two meal suddenly stood out like a beacon. Two drinks, two chips, two salads, two buns and five pieces of chicken. Not four or six, but five. Standing there and rubbing his forehead, Harold wondered how on Earth could five pieces be for two people? What do the two people do with that fifth piece? Ever tried cutting a KFC piece in equal halves, it just breaks apart, it just doesn’t work. What also worried him was that the last time he bought KFC, there was one piece left from the Family Feast. Having had his share did not stop him from grabbing the last piece from his wife’s mouth like a man possessed, and licking it so that she couldn’t touch it anymore. He went insane, he couldn’t control himself. The worst part was that his in-laws were at the table as well with disgusted looks on their faces. What if he couldn’t control himself again? The Dinner for Two had a fifth piece of chicken to fight over. He didn’t have enough money for an extra piece either. A rather long queue had formed. As he waited, he recalled that last time he was here, a massive fight broke out. He remembered a particular conversation between two priests that lead to the conflict. They were sitting in the cubicle behind him and he couldn’t help eavesdropping. ‘It’s been a millennium since I had KFC,’ complimented Father Maynard. Brother Jeffrey finished licking his fingers and smiled. ‘Perhaps we can use KFC rolls in place of our holy bread ,’ said Father Maynard. Both priests looked at eachother and burst out laughing. ‘What of that last piece Brother Jeffrey?’ asked Father Maynard as he noticed a scrumptious-looking drumstick at the bottom of the KFC box, all ready for the taking. Its skin, still crunchy and succulent. ‘Oh that one’s mine,’ answered Brother Jeffrey quite confidently, asserting some authority over his more senior colleague. Father Maynard looked puzzled and was taken aback by the Brother’s sudden claim to drumstick ownership. Brother Jeffrey had always offered food to others before himself. But this time it was the Brother Jeffrey show. Father Maynard sensed an air of selfishness coming from him as he licked his fingers with his oil-smeared mouth. His younger colleague reached towards the drumstick in the box only to have his hand grabbed and then pushed away by the Father. ‘Not so quickly my lad,’ said the Father. ‘Father what are you doing, that’s my piece,’ replied Brother Jeffrey. A slightly shocked Brother Maynard had to justify his actions. With that, Brother Jeffrey grabbed one side of the box, but suddenly, the father had the other side. ‘What are you doing Father, let go,’ demanded Brother Jeffrey. But the Father was not going to give in that easily. It was like a tug of war as the drumstick was tossed around in the box. Sensing that time was running out before the chicken would become too cold to eat, not to mention all the yummy skin falling off with all this tugging to and fro, Brother Jeffrey had to pull out all stops. ‘Remember Father, ‘Generosity is the pathway for more’. But Father Maynard was not to be outdone. Two could play this game. ‘Yes that’s true Brother but ‘God loves a cheerful giver’, answered the Father and managed to pull the box a couple inches his way. ‘But ‘holding back tithes and offerings is stealing from God’, replied the Brother through gritted teeth. The fragile box was becoming warped. So was their prize. As the struggle continued with the priests using every biblical term to their advantage, the box suddenly burst open sending the remaining drumstick hurtling through the air and onto the floor. The two priests looked at each other and dived in unison across the greasy tiles, each getting a hand on the chicken. A crowd quickly gathered and cheered them on. How often did they see men of the cloth, behaving in such manner? ‘See what fast food does to you?’ said a mother as she lead her little daughter away from the scene. The crowd closed in, hiding the two wrestling priests from view. Out of the crowd, the lone hand of Brother Jeffrey thrusted upwards. In Moses-like fashion, he held the ‘holy Grail’ aloft as the crowd parted. At that very moment a voice boomed overhead. The 2 priests looked up. 'Forgive us oh Lord,' they said in unison. 'This is not the lord, this is the manager, please get off the floor,' boomed his voice once again from the overhead speakers. The battled-weary pair got up off the floor as the small crowd dissipated. Feeling quite embarrassed and very ashamed, utter silence befell the two as they spent the next moments cleaning themselves with the kfc little wet mouth wipes. A partly shredded and dirty chicken drumstick lay in the middle of their table. Quietly, they exited the restaurant, and the last drumstick had somehow disappeared from the table. Hence the reason why one of the priests was walking a little funny. 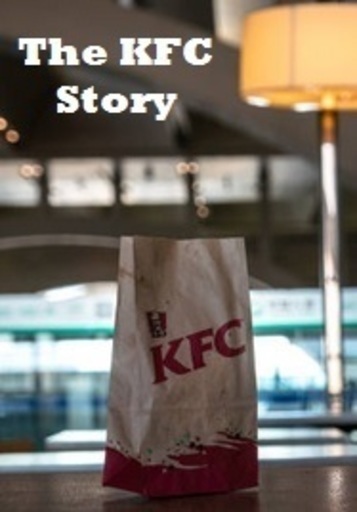 That’s what indeed happened the last time Harold visited KFC. Well he certainly did not want the destructive force of the dinner for two meal ruining his life. ‘Next’! shouted the girl behind the counter. Suddenly it was his turn to order. He looked at the menu once again, and at the impatient-looking girl, with the hurry-up-and-order-so-that-I can-go-home look on her face. Approaching the counter, he began to sweat, he briefly turned around to see a queue forming again. There was no escape and it was getting late. Images of fighting priests, sliding drumsticks and of himself losing control at the dinner table, flashed through his mind. ‘Yes what would you like,’ asked the counter girl, snapping Harold back to reality. ‘ I – I would like the dinner for two please’, he said in a defeated tone of voice. After paying, he stood aside while waiting for his order. All the while psyching himself up not to lose control when it does come down to that very last piece on the dinner table. Harold’s mind ticked over and over. What if I lose control, what will happen then? What if she never speaks to me again, what if she leaves me. ‘I suppose I can always get the meals for one at KFC’, he said to himself. ‘Excuse me sir,’ shouted the girl who served him earlier. At that moment, for some unknown reason, Harold knew he had to look towards the corner of the restaurant and sitting there were the two priests. They both grinned at him and held up a piece of chicken each. Harold turned back to the girl behind the counter with a smile. 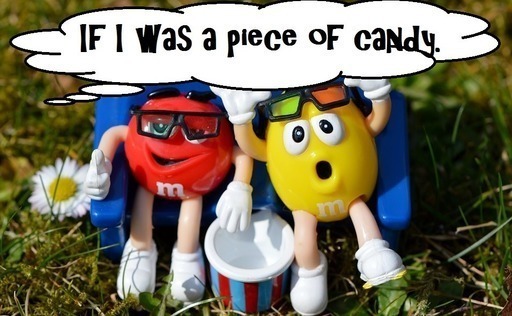 If I was a piece of candy. Not a very fine day indeed. Can the much-feared motor-cycle gang, the Barbarians, ever hope to defeat the Church ladies auxilary, the Lord's Sweethearts, in a bingo challenge to the end?